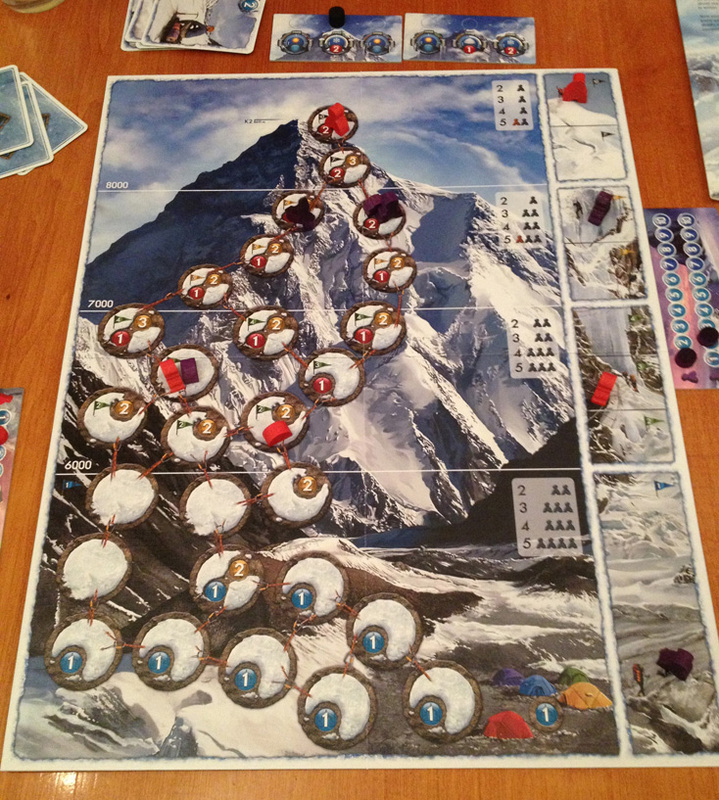 Mount Everest is a new game by the designer of K2 which is a great game and you can read my review of K2 for more details. 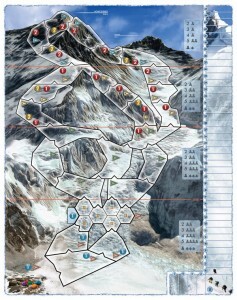 The rules of Mount Everest are very similar to K2 with some additions. Rather than moving your 2 mountaineers up and down the mountain, you move 2 guides who are taking mountaineers and tourists up and down the mountain. Your guides can carry equipment with them like a camp and/or oxygen, but this comes at the cost of taking more mountaineers and tourists with them (and it’s those that can earn you points). Players score points for the clients (mountaineers and tourists) they manage to get to the top (but lose points if they die anywhere on the way up or down). 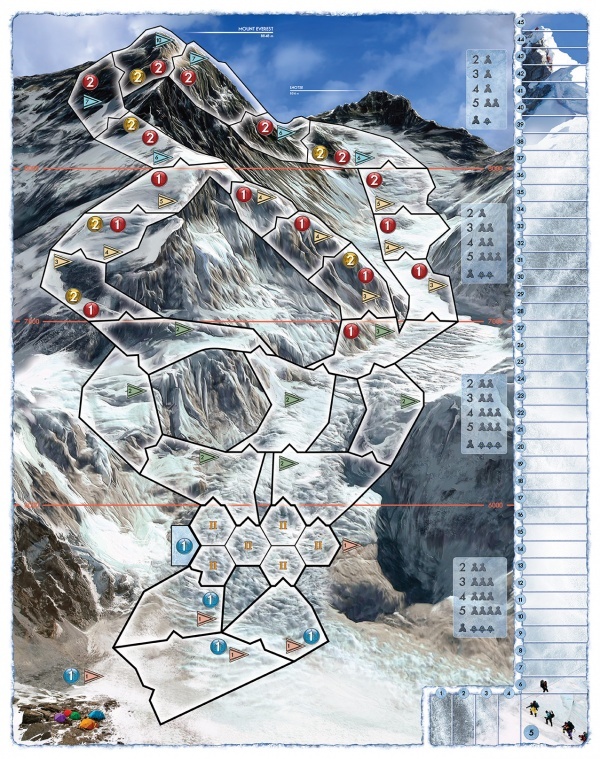 The tourists are worth more points, if they make it to the summit, but are less acclimatised so are more difficult to get there. The player with most points after 18 days wins. 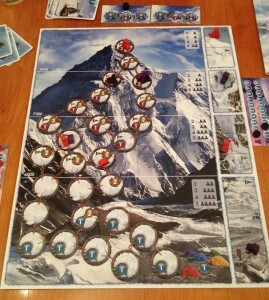 As in K2, players have a hand of 6 cards and they get to select 3 cards to use each round. Players simultaneously reveal their cards and the player who is moving furthest must take one of the 3 face-up risk tokens (which can reduce what you can do in a round).